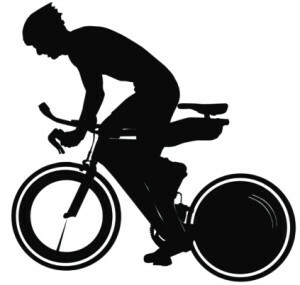 The Pro-Form Le Tour de France Bike is the latest in indoor biking; this is an indoor bike which can simulate the actual riding experience of competing in the Tour de France (without the possible bicycle injuries associated with it). By incorporating Google Maps into the bike memory and designing a sleek, almost street worthy, design, this bike will recreate every hill, straight away/flat road, and decline in the competition. 24 different gear controls allow the user to customize their workout each time and train like a pro. Perhaps one of the most innovative features about this model is the incorporation of iFit technology. Google Maps drives the modern technology of iFit which recreates a realistic riding experience on any road or path in the world. This program comes with 24 pre-programmed maps but you can create your own course based on your starting point and destination. With the use of this program, you can simulate the exact same road course as the pros; you will actually get the same outdoor experience of going over hills and other types of varied terrain. Using this type of training will tone more muscle groups than a traditional stationary bike and will increase your balance. Purchase of this bike new includes a free one year membership to iFit. Handlebar shifters of both sides of this bike allow you to alternate gears like you would if you were on the road; the shifters simulate front and rear sprockets like ones that are on a street bike. The shifters offer 24 levels of adjustable resistance meant to help the rider develop cardiovascular strength in the smallest increments possible. The internally built in power meter will allow you monitor your watts and RPMs on the bike’s console; most bikes have separate devices for these two functions. Knowing this information enables you to meet endurance goals and allows you to monitor your workout to make sure you are pushing yourself hard enough. Smart technology takes height and weight inputs to calculate your wind profile and applies the same type of natural resistance a rider would get on the road. The incline and decline is designed to match real life street riding conditions. This feature allows you to get the experience of riding on any road of your choice as it will automatically adjust its incline or decline angle to suit the real terrain on your path based on the information gathered from Google Maps. Reviews straight from the source, the consumer, can be the most telling about the product and can offer the best advice to future buyers. The follow list of pros and cons was gathered from ProForm.com and Amazon. There are positives and negatives to every product. The best thing to do would be to figure out what your personal goals are and see if they line up with the positive aspects of this product. Or just go give it a test run at a local store and see if it works for you. Millar & Mixon, LLC is a personal injury law firm located in Atlanta, Georgia. For more information,please visit us at www.millarandmixon.com.